A mobile version of Stardew Valley is on its way and it'll be here sooner than anyone expects. 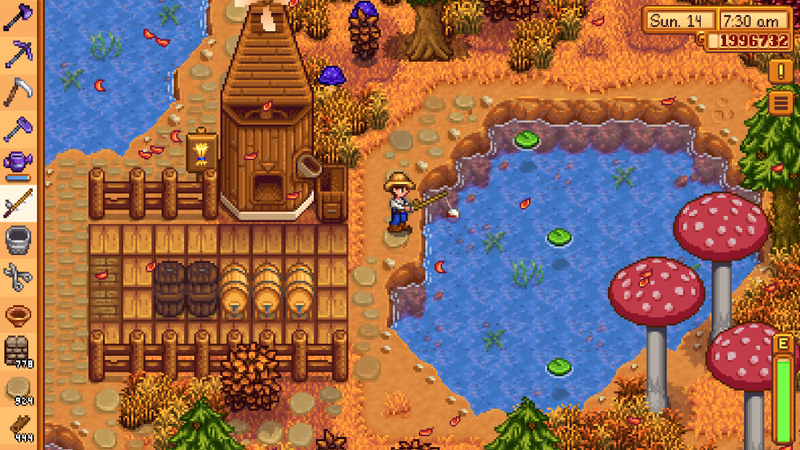 Stardew Valley has been consuming PC players with its mixture of farm-raising gameplay and retro elements. The single-player version of the game hit consoles last year and now, the folks at Chucklefish Games are exploring the game's next frontier: mobile devices. On Tuesday, ConcernedApe announced on the Stardew Valley website that Stardew Valley is coming to iOS in just a few short weeks. The mobile port is being developed by The Secret Police, a mobile studio out of London. This will not affect work on the multiplayer update for consoles, which is being developed by the team at Sickhead Games. The mobile version of Stardew Valley is being touted as the full version of the game, with the only differences being the game's interface being fine-tuned for touchscreen play. The game will launch with the 1.3 patch, with PC users able to transfer their save data. Mods, however, are not supported, so be careful about transferring any saves with mod data, because it could get corrupted. The iOS version of Stardew Valley will his the App Store on October 24. An Android version is coming soon.